Besides the aging process, other factors that affect the skin and lead to the formation of fine lines are the UV rays and other aggressors from the environment. Poor diet and change of climate can also lead to changes in the skin tone and texture. Different people try out various products and practises to fight off the skin aging process. Some will go on diets; others will hit the gym to try to tone the skin while others will opt to take supplements in order to bring the youthful looks back. Another number of people will buy any product with claims of getting rid of the fine lines and wrinkles. Many more will use MAKEUP, FOUNDATION, CONCEALER and EYE CREAMS to hide the lines and wrinkles. While all these things may help, they still lack one of the main ingredients that help to combat the aging process. Retinol is the most important ingredient used in products that combat aging and other skin problem. Retinol coupled with hyaluronic and other organic ingredients in serums transform the skin to give it life, to make it smooth, soft and firm. Retinol helps to even the skin, reduce the size of the pores and it has backing and approval from the dermatologists. A good retinol product boosts the skins natural collagen levels fading out dark spots and making the skin lighter. 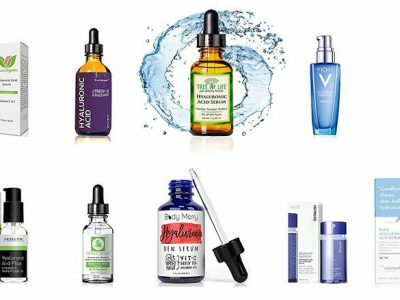 The problem now comes in when trying to figure out the best retinol serums in the market. 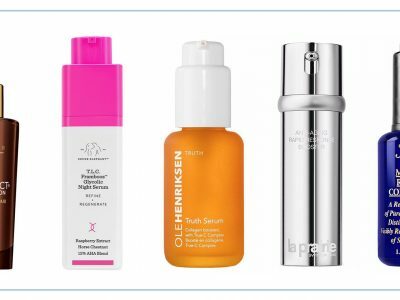 With thousands of products that claim to have retinol, it becomes a daunting task choosing and identifying the legit products. 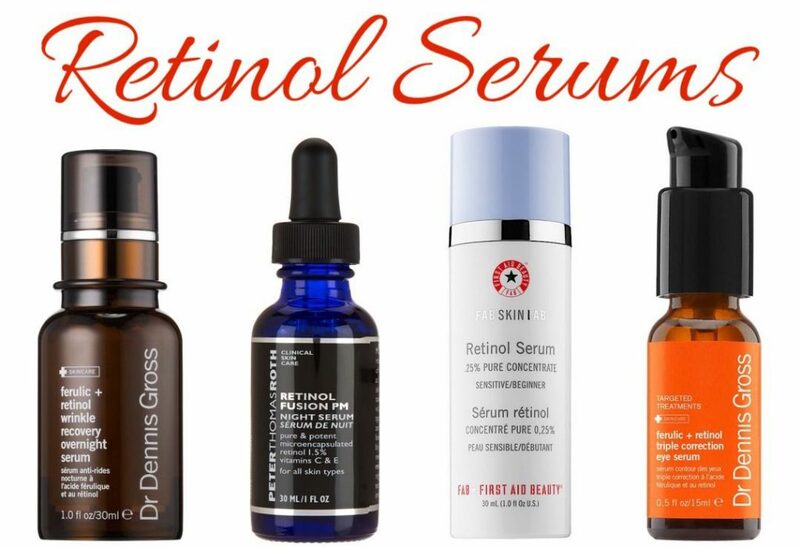 We have however taken that burden away by giving you a list of the best retinol serum products in the market today. 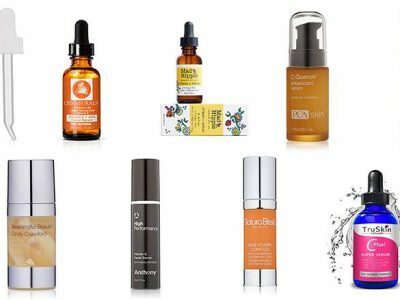 Our list contains products that have dermatologist approval and organic formulas that make them potent. If you are looking for ways to get that soft, supple, smooth, wrinkle free skin back, read on. 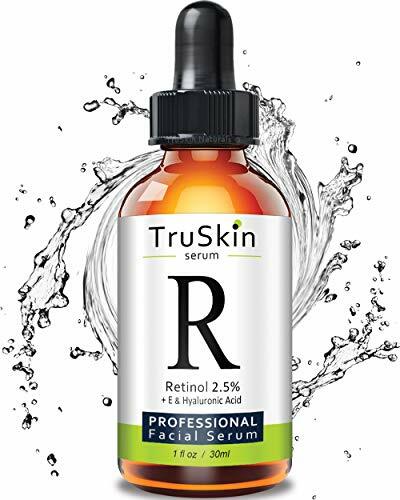 With raving reviews, only one word can best describe TruSkin retinol serum awesome. The effectiveness and the quality of the serum are some of the reasons it is one of the most sought after retinol serum in the market. TruSkin contains a high percentage of retinol, which is the most effective ingredient for fighting fine lines and wrinkles. The serum also improves the skin tone and texture, and the skins colour pigmentation. It increases the skins hydration levels and unlike many other retinol creams in the market, TruSkin is lightweight and specifically formulated for the development of the skin layer even when applied under other products the serum has a great combination of ingredients that blend and work well together to deliver the best results. Some of the most notable ingredients are hyaluronic acid, organic jojoba oil, retinol, vitamin e, wild geranium, organic aloe, witch hazel kosher vegetable glycerine, organic green tea, Pentylene glycol and many others. The made in USA product, is cruelty free, parabens free, soy free and corn free. It does not contain any harsh chemicals and it is ideal for all skin types. The serum comes with a 90-day manufacturer guarantee with a 100% money back guarantee if you are not satisfied with the product. Applying the serum 2 to 3 days in a week will give you the expected results. You can always trust retinol to turn back time and this is exactly what it does in this serum. 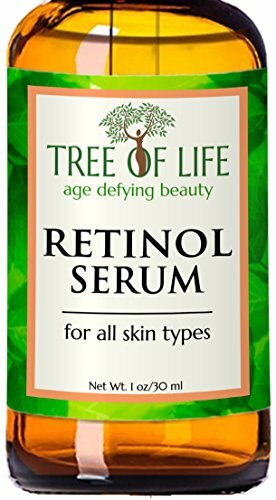 Optimized retinol serum is one of the most popular retinol products in the market today for slowing down the skin aging process the dermatologist approved serum has extraordinary benefits for the skin that include a smoother skin texture, getting rid of fine line, wrinkles hyperpigmentation and dullness, and repairing the skin. Retinol rejuvenates the skins cells that get damaged from too much exposure to the sun and other harsh environmental factors. The retinol rejuvenation causes the cells to behave like healthier younger cells that keep the skin tight and youthful. The serum also unclogs pores, fights off acne and breakouts, moisturises and hydrates the skin. It also contains antioxidants that help to repair the skin. Other benefits the serum has on the skin are getting rid of dark circles, sunspots and age spots. It boosts the production of collagen, which further reduces the aging process. With hyaluronic acid as the other major ingredient, the serum helps to retain water in the skin, which helps to hydrate, and even out wrinkles leaving a smooth and fresh healthy skin. Other ingredients are Vitamin E, which works to protect the skin against any damages from UV and block free radicals from damaging the skin. GLYCERINE is another vital ingredient, which helps to seal in moisture into the skin. The serum is best applied at night. If you are looking for one of the best retinol serums in the market to get rid of those wrinkles, Amara organic serum should be top on your list. The serum contains all the ingredients that fight wrinkles and it is completely organic. Besides getting rid of the wrinkles, the serum helps to clear up acne and fade out any skin discolorations. It leaves the skin looking healthier and younger. With a blend of clinically approved retinol and hyaluronic acid, the retinol serum firms and hydrates the skin. The two ingredients along with Vitamin E, Organic Jojoba Oil, and Green Tea, also help the skin to produce collagen, which helps to clear acne scars, breakouts, pores and other skin imperfections. The serum is cruelty free and does not contain parabens, artificial fragrances or any harsh chemicals. The serum comes with a manufacturers guarantee. As much as retinol is good for the skin and the anti-aging process, some products have very powerful and strong ingredients that irritate type skin. This makes some people give up the regimens halfway through their treatments. By stopping to use the product, they fail to achieve the intended results, you however do not have to worry about wasting your money anymore on products that will not see you get the skin you want. Use Skin Daily Retinol Serum and see your money work for your benefit. The retinol serum contains gentle, yet potent ingredients that will make your skin transform for the better. The retinol concentration in the serum is 1%, which does not cause any irritation the serum, also contains hyaluronic acid, which provides the skin with the ability to hydrate the skin with ease. The serum contains green tea extract, which gives it the power to act better and faster. GREEN TEA EXTRACT is a renowned ancient ingredient that contains age reversing antioxidants. For ease of application, the serum comes with a pump applicator ensuring that you do not waste even a single drop of the serum. The serum also comes with a satisfaction guarantee from the creators of the product and if you feel that the serum is not doing it for you, you can claim your money back. Skin Daily products are all cruelty free and do not contain any harsh chemicals. The serum is ideal for all skin types. Azure Naturals, delivers quality skin care products using organic and natural ingredients for majority of their products. The company also commits to give the client’s 100% satisfaction from the use of their products. Enriched with retinol, which is one of the most effective ingredients in fighting the aging process, the serum delivers effective results that leave your skin looking and feeling younger, softer, smoother and hydrated. Besides clearing fine lines and wrinkles, retinol also improves the skin tone, texture and increases the hydration level. The serum soothes acne and rosacea affected skins giving relief and a clear looking skin. The serum is ideal for all skin types and the recommended time for use is at night. After about two weeks of daily application the results start to show and they continue getting better with further use. The serum is 97% natural, contains no parabens, alcohol, GMO and it is cruelty free. 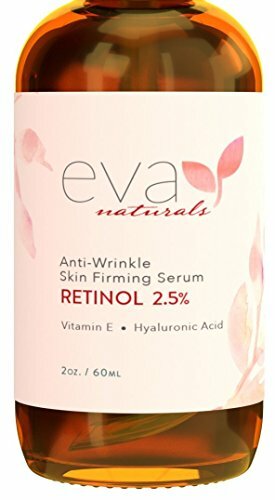 Packed with potent anti-aging ingredients, Eva Naturals Retinol Serum is one of the best anti-aging and wrinkle fighting products in the market. The serum penetrates four different layers of the skin allowing essential nutrients to get deep into the skin for nourishment. Containing hyaluronic acid and retinol, the serum improves the collagen production, which in turn reduces the appearance of fine lines and wrinkles. The hyaluronic acid helps the skin to retain its moisture and keep it looking fresh and young always. Other ingredients contained in the serum are Vitamin E, Jojoba Oil, Witch Hazel, and Green Tea. The serum also protects the skin against damage from exposure to excess sunrays and all the factors that cause premature aging. The ingredients also help to hydrate the skin and treat skin pigmentation. The strong retinol serum fades away any spots on the skin and any other imperfections leaving the skin complexion looking radiant, healthy, hydrated, smooth and young. For longer lasting application, the serum comes in a double sized bottle. It also comes with a manufacturer’s warranty. You can always turn back the aging clock by using one of the best anti-aging serums in the market. ToLB Clinical Strength Serum helps to rejuvenate your skin, stop the aching signs and give you a refreshed younger looking skin. The serum contains 72% organic retinol serum that helps to fight the aging effects to give your skin a younger healthier look. The serum moisturises the face leaving it hydrated and soft. Retinol, when applied appropriately and consistently shows significant results. Coupled with hyaluronic acid, the serum gets even more strength to nourish and moisturise the skin replenishing it and reducing the appearance of fine lines and wrinkles. The two potent ingredients work in harmony with Witch Hazel, Vitamin E, Green Tea and Jojoba Oil among many other ingredients to become one of the best skincare powerhouses in the market. Because ToLB believes that skincare should be everyone’s top priority, they too have made it a priority by giving you a serum that many other products in the market cannot match up in terms of potency. If you are looking for a serum that will promote the skins collagen production while at the same time softening it, get yourself the 1-oz. bottle of InstaNatural retinol serum. The retinol serum contains a well-formulated blend of ingredients that work in harmony to address the most difficult and common skin problems such as acne, breakouts, and any others that bring about the aging process. Retinol is the strongest ingredients used in serums to support the natural exfoliation of the skin. The InstaNatural retinol serum reduces skin discolouration and adds radiance to the skin. It hydrates the skin and firms the skin appearance giving it a younger healthier look. 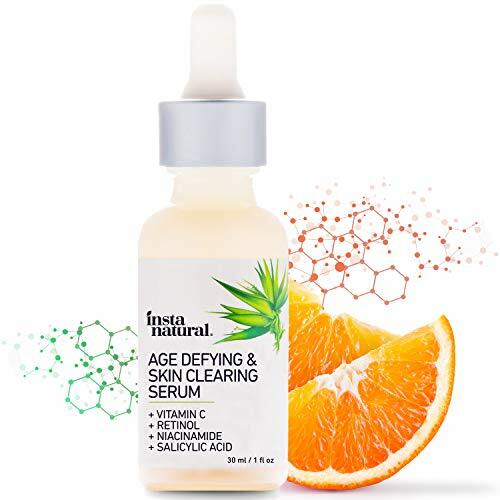 Packed with Retinol, Vitamin C, Hyaluronic Acid and Niacinamide among other ingredients, the serum gets rid of fine lines and wrinkles, while at the same time defending the skin against harmful environment aggressors. The ingredients soothe the skin and build a barrier that keeps it strong all the time. The serum is ideal for all skin types. You can incorporate the serum easily with any nigh cream of your choice. RoC is not new to beauty and skin care and has some of the best and quality products in the market. The Retinol Correxion Deep Wrinkle Facial Cream is a 1-ounce pump bottle that stops the aging process and improves skin renewal. The serum reduces the appearance of fine lines and wrinkles leaving the skin looking more youthful, smooth and soft. It contains a unique formula of Retinol, Zinc, Copper and Magnesium that penetrate deep into the skin giving it a new look. The silky and light wrinkle serum glides easily on the skin and is fast absorbing. It makes the skin feel velvety, radiant, smooth, firm in just 4 weeks of application. The clinically approved serum is non-comedogenic, and it is ideal for all skin types. For best results, use the serum daily making sure you smooth it on the neck and face after cleansing and drying the skin to allow wrinkle treatment to start taking effect immediately. One of the main reasons why serums work well is because they have tiny particles that easily penetrate deep into the skin better than many other ingredients. SERUM is light, does not contain sealing particles found in many other creams, and moisturises. Serum is also great for people with oily skins and you can use them without the need of a MOISTURISER. Using a serum with retinol helps to stimulate the blood flow and increase the levels of collagen that help to fight the aging process. The main compound in retinol is vitamin a, which is both nourishing and hydrating. It also helps to improve the colour of the skin as well as get rid of the fine lines and wrinkles the above retinol serums all contain potent ingredients besides retinol that rejuvenate your skin cells giving you a young and healthy look. We hope with the above list, you will find the right product that fits your skin problem.